Congratulations! You did it! Graduate school is mostly a Master’s degree in multi-tasking. A skill you’re going to need this year! You’re about to be paid to do what you’ve been paying tuition to do for the last two years! Things are looking up! On a scale of 1 to right-before-the-Praxis how nervous are you about starting your first job? There is no way around it. You’re the new kid and it is going to take a bit to get settled. Don’t worry though, this time next year you’re going to feel much more confident. 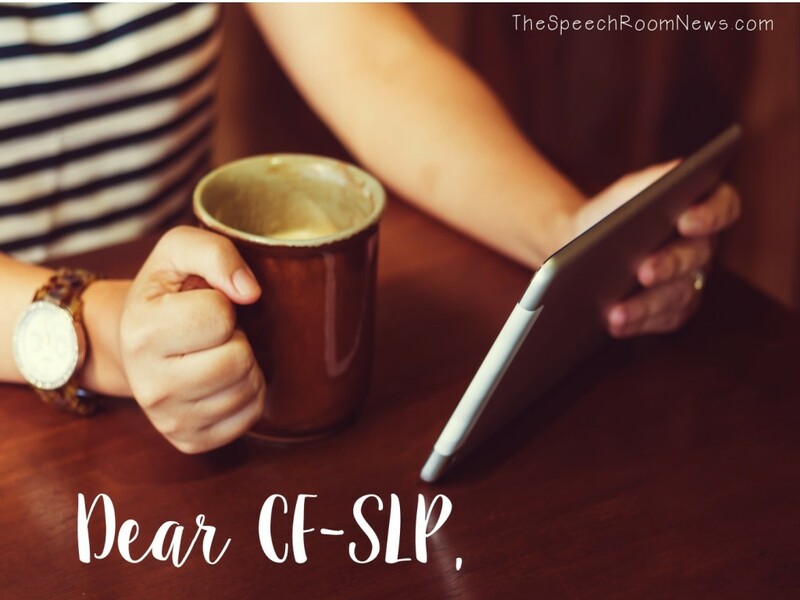 Five years from now you’ll feel like you’ve totally got this SLP thing. I’ve got three pieces of advice to make your first year fantastic that I wish someone had told me during my CF. But sometimes it doesn’t happen often in your school. You might be replacing an SLP who was at your elementary school for 25 years. That’s more years than you’ve been on the planet! Be patient with the expectations the staff and students have for you based on the prior SLP. Take the time to figure out how she (or he? … I doubt it) ran things. What seems like it will fit your style? What will need to change? You’ll hear “Mrs. PriorSLP always did ___.” Take this opportunity to set up clear expectations with the staff. First impressions matter and you don’t want to offer to do something just to seem like you’re a team player or just because the previous SLP did it. If your principal asks you to screen every 1st, 2nd, and 3rd grader in the school and you say “yes”, you will be asked to screen everyone again next year and the next too! Instead, offer to meet with teachers by grade level, identify children who might need screened, develop a system for referrals, and check out the children who really DO need your screening. Be helpful, be a team player, but set boundaries. You’re the expert. It’s ok to act like it! You have to be visible! Two years ago, I was in 3 different buildings. For two of the buildings, I only went to each place once per week. I never went to staff meetings because they were on different days than I worked in that building. In MARCH, at two different schools, one custodian and one teacher thought I was a substitute teacher. That’s a problem. It sort of makes sense… we have a lot of regular subs and they probably only saw me a few times per month. That told me I didn’t do a good enough job of making my face known. If you’re at a building one day per week, you’re going to want to sit in your office and get work done over lunch. That’s great until someone thinks you’re a sub and asks you to go check-in at the office. Get out of your office and make sure people know who you are! There are going to be a ton of details you’re suddenly in charge of this year. If I had unending energy and time, I could spend 60 hours a week in my school. If I did that I’d be really cranky and probably resent those sweet kiddos. Instead, you must prioritize. Schedules, data sheets, and IEP due dates come first, but what about once you start therapy? You’re going to have 50 or so students and if they each have 5 objectives in the IEP you’re already at 250 goals to target. Phew. I find it best to plan based on the most common goals. Are 15 out of 50 kids working on WH questions? Plan your first week around activities that target that skill to make data collection easy. 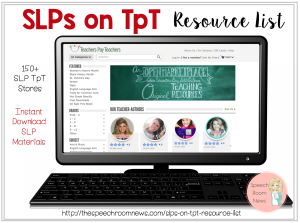 Grab a book (and a TpT book companion) and you’ll be set to cover almost all objectives. You’ll be able to target those WH questions and use the same materials to target objectives from other students. Above all else, remember that you’ve worked hard to get here! You don’t have to know everything all at once. You just have to know how and where to get help! I hope Speech Room News can be part of that support system this year. 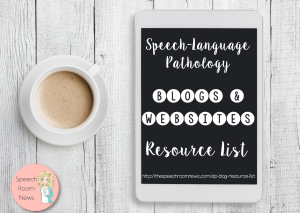 Peek at my SLP 101 series if you’re new in the schools! Great post, thank you! I will be sharing with my CFs this week. I agree with your point on visibility. Not only will you be a part of your school community, but you will also build relationships with people critical to your success (the janitor, the front office secretary, your data clerk)! You’re right! Those people save my life! I really appreciate this article! 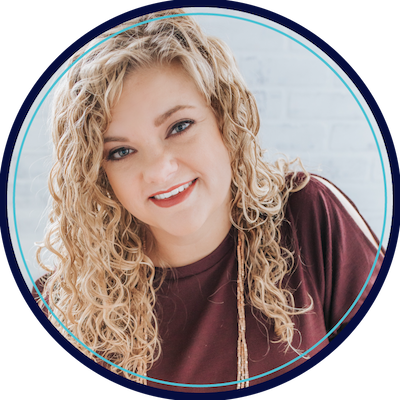 I am a CF this year and most of the previous articles I’ve read that are geared towards CFs have overly emphasized how much we still need to learn (AKA how much we don’t know), which really only stresses us out even more! It was refreshing to read simple but helpful tips that are easy to put into action. Thanks! Such a great post… Even for us entering year one with our C’s! Thanks for being so supportive and creating a space that is so helpful to SLPs! Thanks! Any advice about getting that first CF position in the schools? Kira, check out my article about interviewing. It’s full of possible questions you might get asked! SLP 101: Interviewing. I am going to refer my graduate students to this post. You have shared some excellent advice. In your section on Hide and Seek, I would also encourage new people to go into the faculty room. You may want to work through lunch or have it in your room but going into the faculty room will do so much more in the long run than catching up on paperwork. Your connection as a person to the faculty is important so that day that you are running late picking up a student the teacher may smile as you have talked in the lunch room about your favorite book rather than sneer at you. You’re right! Connections and friendships really improve communication, expectations, and the ability to work with co-workers. Goodluck! You can do it! As a new CF, I am feeling completely overwhelmed with the beginning of the school year. This was a great site I stumbled on trying to find some guidance. Thanks for the support and encouragement!